Telemundo is the second-largest Spanish-language television network in the US. 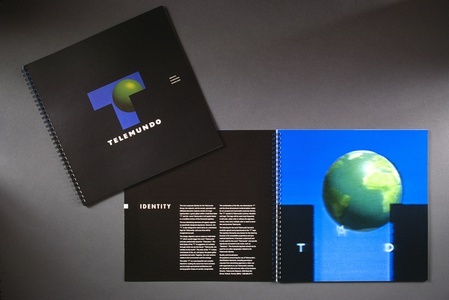 Before the brand identity redesign shown here, Telemundo had a symbol of a red striped globe, too similar to other companies for a network that was expanding so rapidly. The challenge was to create a strong, simple mark to be used everywhere: on air, in print, in advertising, and on microphones, trucks, and satellite dishes.The symbol comprises a T-shaped viewing window (“tele”) with a 3-dimensional globe behind (“mundo”). The layered symbol immediately suggests a printed die-cut or 3D animation. On-air identifications were created, and program openings and closings. 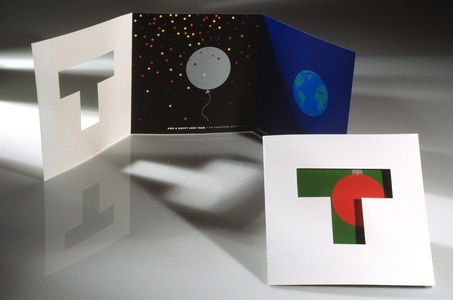 Graphic standards guidelines were developed for all applications. 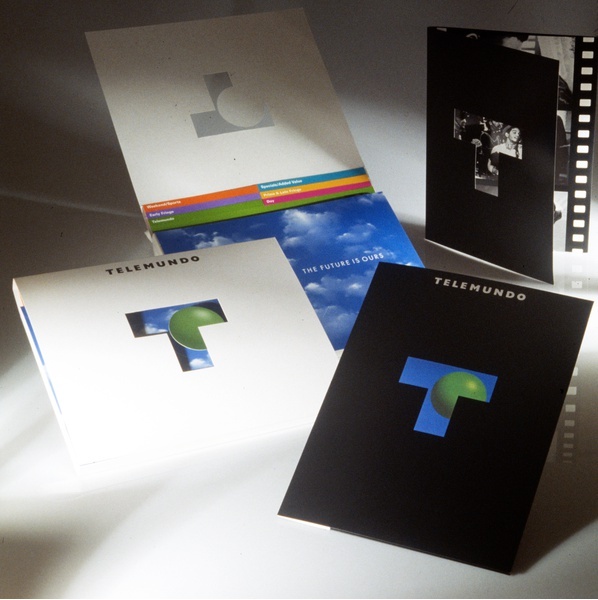 Originally created in 1954, Telemundo Network Group is now affiliated with NBC (another brand identity by partner Steff Geissbuhler), and its stations can be seen throughout the US and Latin America.